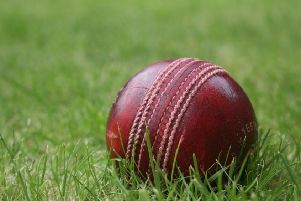 Egerton Park Second XI finally got back on the winning trail in Division Seven East with an outstanding run chase at home to Leicester University staff on Saturday. Batting first, the visitors started fast, with the top order batsman all playing their shots from ball one. But the returning Creed soon got among the wickets, picking up the first four to fall. A stand of 71 frustrated Park, but Anderson, with three wickets, Barnard and Simons with one apiece, and some fine boundary fielding from Tyler helped reduce Leicester to 197-9 at tea. Young batsman Antony Pedlar and veteran Simons started Park’s run chase at a brisk pace and the runs continued to flow from both ends as they put on a magnificent 120-run opening partnership, the team’s biggest for many seasons. When Pedlar fell eight short of a deserving first senior 50, Burdett moved the score along, but wickets started to fall more regularly. But Creed, along with the now flagging Simons, saw the hosts to their target with two overs to spare, Simons finishing 86 not out. Bowling: Creed 12-2-37-4; Dover-Jaques 4-0-24-0; Jeary 8-0-24-0; Anderson 11-0-45-3; Wade 4-1-19-0; Barnard 3-1-25-1; Simons 3-0-18-1. Park: Pedlar 42, Simons 86*, Burdett 13, Carnell 2, Tyler 1, Creed 18*, Extras 37. Total: 199-4.